At the beginning of the year, I wholeheartedly believed that genuinely brilliant high-end Italian restaurants in London did not exist. Before visiting Margot for dinner, in January, each of my previous experiences had ranged from the morbidly mediocre to the astoundingly atrocious. Peculiarly though, the city is still home to so many upmarket ‘Italian’ temples of bad taste. Restaurants that charge dizzying prices for food that’s barely worthy of being served at Zizzi. Even more bizarre is the rapturous popularity of such places (mostly in Mayfair), with the chances of eventual decline devastatingly slimmer than the supermodels photographed falling out of Novikov after one too many glasses of Prosecco. Frankly, I’d rather loiter around the salad bar at Pizza Hut than sit across the room from Ashley Cole or Drake and Rihanna in one of the city’s tacky, poseur Italian restaurants as authentic as tinned spaghetti hoops. Having recently joined the likes of Margot, Il Pampero is another fresh purveyor of Italian fine dining I feared I’d never discover. 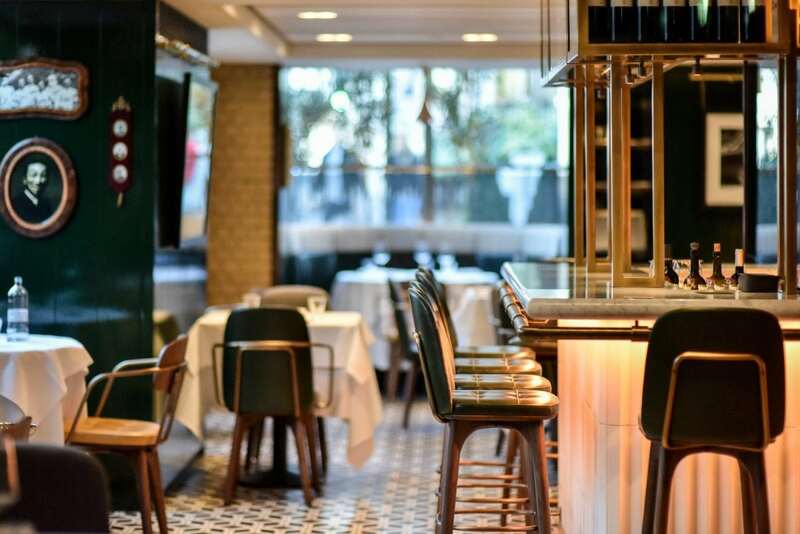 Serving as the main restaurant space on the ground-floor of the Hari Hotel in Belgravia, Il Pampero oozes sophistication as well as serving the type of food that doesn’t rouse me to seek solace at the bottom of a Morley’s fried chicken box, on the way home. Unlike so many hotel restaurants, the bright dining room here is not a typically supercilious corporate space with less natural light than a public toilet. It’s easy to understand why hotel dining rooms have such a bad name, enough to make even the most cultured of us dream of dinner at a bright greasy spoon cafe, before heading back to the caravan, in favour of such luxury. 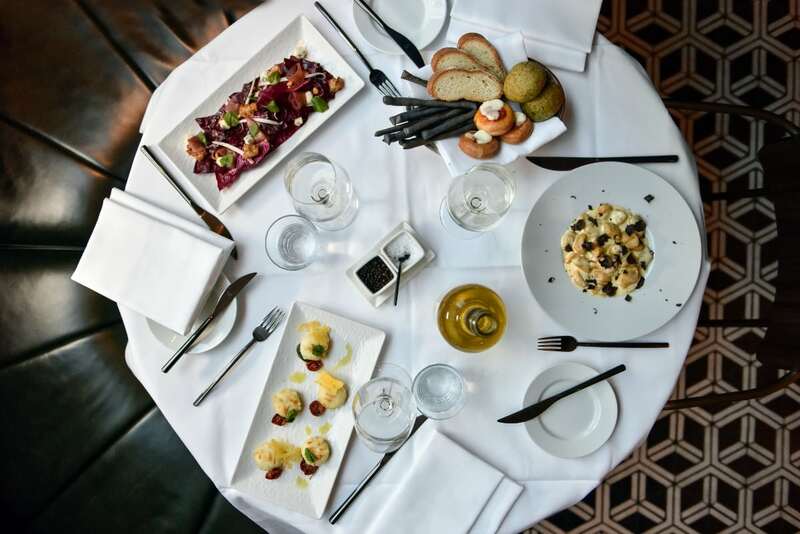 At Il Pampero, the dining room is ineffably sprauncy, but in a fun glamorous respect. Begin with a Negroni or rosemary-infused Americano at the bar, concocted by the talented bar team, and you’ll instantly comprehend. At the table, the window-side booth seats are cosy and allow natural light to flood across the table and bottle green leather blanquettes. Following a basket of homemade breads with exploratory black wheat breadsticks and absurdly delicious rosemary focaccia, a starter of lamb sweetbread is served simply with a selection of sautéed wild mushrooms and a rich white balsamic dressing to complement the butter-soft, heavily caramelised sweetbreads. Polipetti Stafati, on the other hand, is a stew of baby octopus that’s (difficultly) cooked to the degree of being able to consume without the need of teeth, joined by a deep tomato sauce that makes good use of the long, slow cooking process. A favourite ingredient of mine, the octopus is so expertly executed – I’d regularly eat the dish for breakfast, lunch and dinner. Growing up in a Butcher’s household, I’ve sampled my fair share of steak; from luxurious, heavily marbled Japanese wagyu (plus the Welsh and Australian variants) to sweet, gummy USDA corn-fed cows that waddle like overstuffed Texans. From mature Spanish Galician cattle approaching retirement, boasting profound depth of flavour; through to some of the absolutely extraordinary cattle available closer to home, without the need of a passport. English Longhorn, Belted Galloway, Dexter – need I go on? I’ve grumbled about the futility and of ordering steaks in high-end restaurants on numerous occasions, but when described and recommended with such passion, as it is here, it’s impossible to resist– once I’ve scooped my bottom jaw from the geometric tiled floor. A gargantuan hunk of Italian Chianina (£80 per kg) is an absolute delight, as expected considering the price. From one of the world’s oldest cattle, the Bistecca alla fiorentina is a cut from between the cow’s rump and ribcage, though this particular T-bone is cut higher, boasting a generous wedge of fillet. Reports suggest that Chianina beef has been bred in Italy for at least 2200 years, with the huge white beasts generally weighing in excess of 1200 kilograms (the combined average weight of 14 British men). In Italy, this particular breed is so prestigious, it is sold at premium prices through approved Butchers, joined with a sales receipt detailing the specific animal’s breed, identification number, birth and slaughter dates to guarantee its origin. Here, a kilogram of steak is cooked so perfectly, it’s even enough to forgive the chopping board it’s served on. Well-aged like a fine red Bordeaux, the steak has an intense depth of natural flavour, heightened by the cooking process over hot coals to ensue a heavily charred bark that surrounds the blushing, warm internal flesh, showered with rock salt. Medium-rare with the fat on the sirloin side properly rendered, the sirloin has a primal robustness and succulence imparted from the cooking method. On the other side of the bone, the fillet is smooth and buttery, conclusively demanding for the bone to be taken in hand to gnaw every last morsel of prized meat before the bone becomes destined for the bin. Elsewhere, the steak comes with accompaniments of diced roast potatoes, wilted spinach, broccoli, salad leaves and the sweetest plum tomatoes, roasted on the vine and garnished with rosemary. Realistically, the steak is far too big to be tackled single-handedly, but it’s also far too good to share. In fact, the Fiorentina T-Bone at Il Pampero is just about the best steak I’ve eaten: ever. To finish, vegan meringue is made from a secret recipe but without eggs, as we’re constantly assured. Infused with coconut, the meringue is a fair cruelty-free dessert, prettily presented towered with cream, berries and edible petals. Alas, the texture of the actual meringue is dense and brittle. Far better is a grossly decadent take on a Sacher torte, slathering nuggets of raspberry gel with rich, luxurious dark chocolate – impressive as expected, following the previous courses. A rare brilliant example of Italian fine dining in central London, dinner at Il Pampero is somewhat expensive, but worth every penny. Order the steak (cooked medium-rare, at most) to follow a Negroni, and an enchanted evening is practically guaranteed. Il Pampero can be found at 20 Chesham Place, London, SW1X 8HQ.